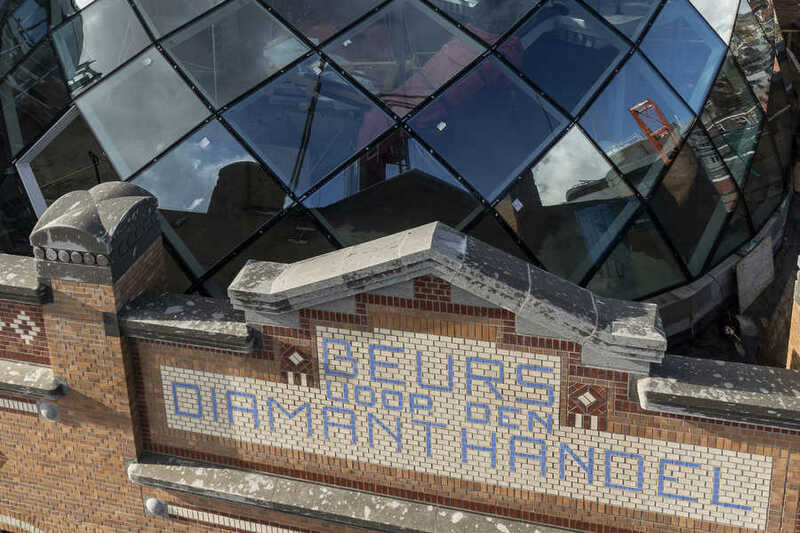 As a building and as an institution the Diamond Exchange, built in 1910 after a design by Gerrit van Arkel, crowned the heyday that counted as a second Golden Age for the city of Amsterdam: the economic boom following the 1880s, that restored the city as a metropolis for industry and trade after a century long slump. At that time Amsterdam had developed into one of the most important centers for the international diamond industry. And all that can be sensed in the idiosyncratic design of the Diamond Exchange. Modern and businesslike in its rhythmic structure, but also full of classical elegance with its striking bell tower and sophisticated decorations. 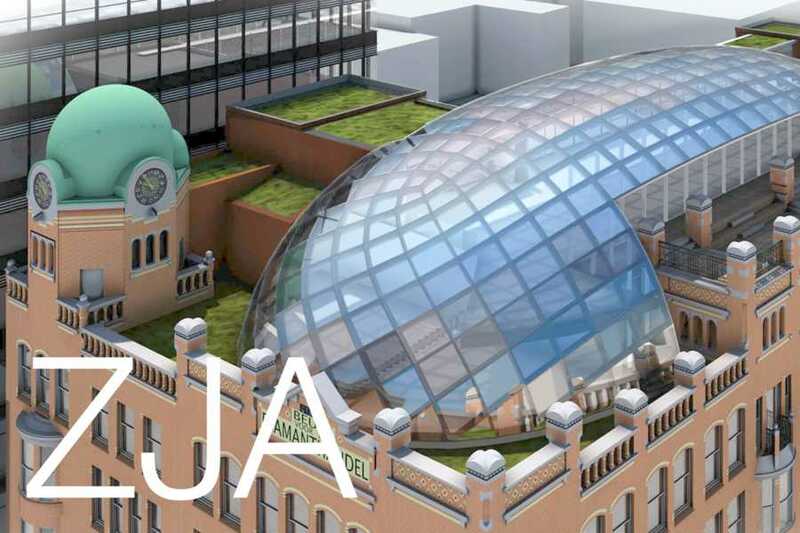 This city jewel in its modest Art Nouveau style is officially acknowledged as a national monument of the first order. At the beginning of the 21st century the building was in a poor state. After several additions, a fire and various renovations much of the original charisma was gone. It was glossed over, hidden by the distraction of monotonous add-ons. 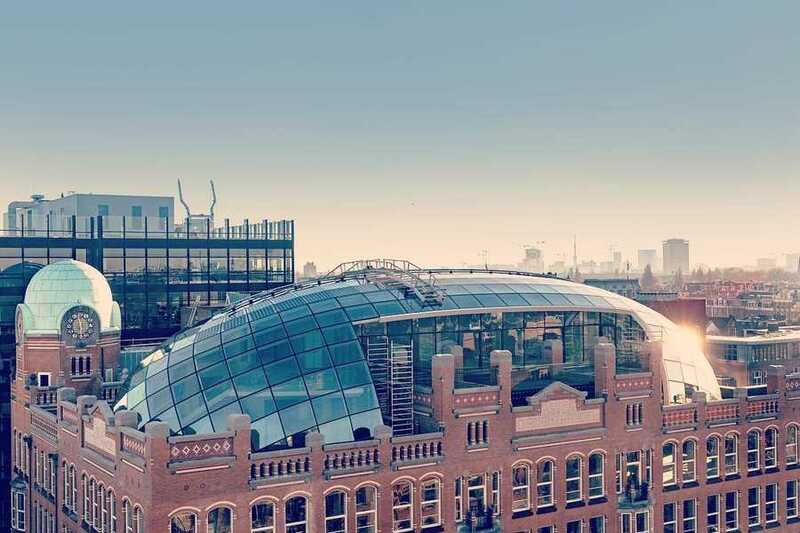 The new owners Zadelhoff & Sijthoff envision a role for the Diamond Exchange in what is considered a new heyday for Amsterdam, now as an international hub for the creative industry and information technology. 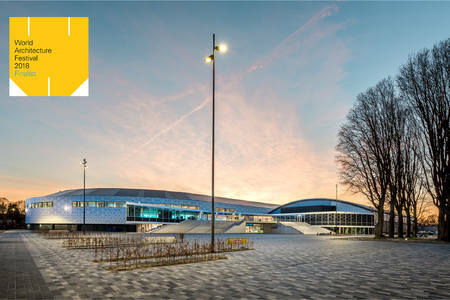 In order to meet that role envisaged as Capital C a thorough renovation was called for and ZJA Zwarts & Jansma Architects were asked to produce the design. That design has in mind three objectives, first of all to restore the original qualities of the Diamond Exchange in its full glory. Secondly to adapt the interior for use as a modern, flexible office environment and thirdly to build a contemporary addition open to the public. 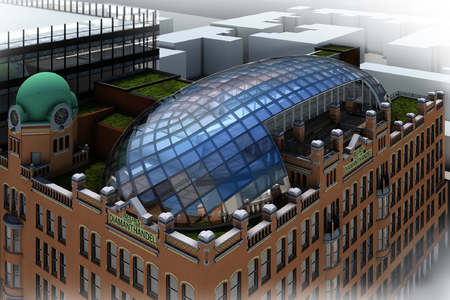 The largest addition consists of the restaurant and the terrace on the seventh floor, under an oblong dome. 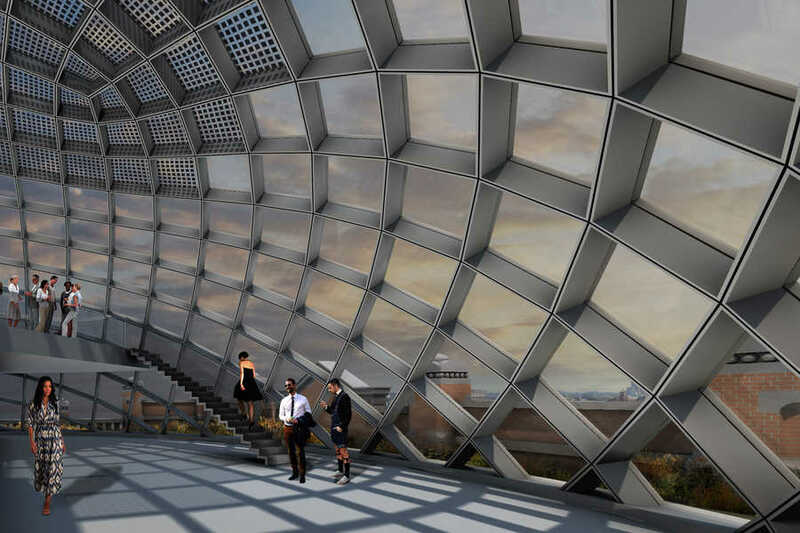 The construction on the roof is based on the grid shell principle, in which the constructive force is absorbed by the double curvature in the roof’s surface. 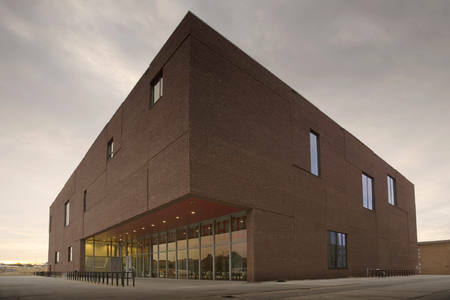 That allows for an enormous freedom in shapes and a large span without columns. 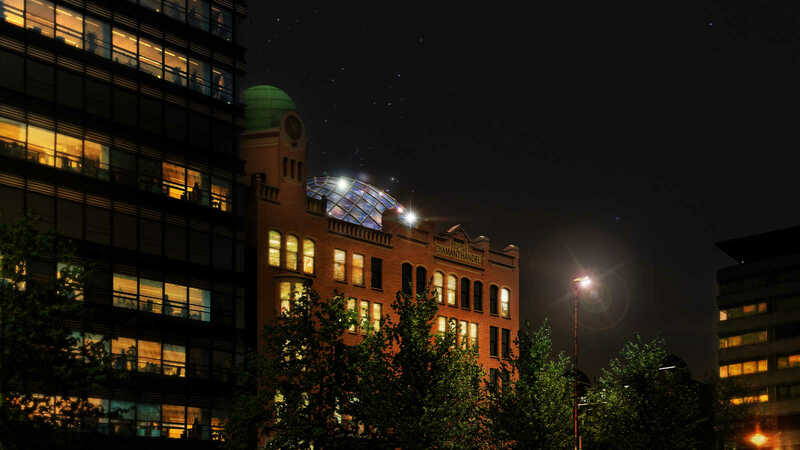 The dome’s structure, covered with glass panels is transparent, light and open. 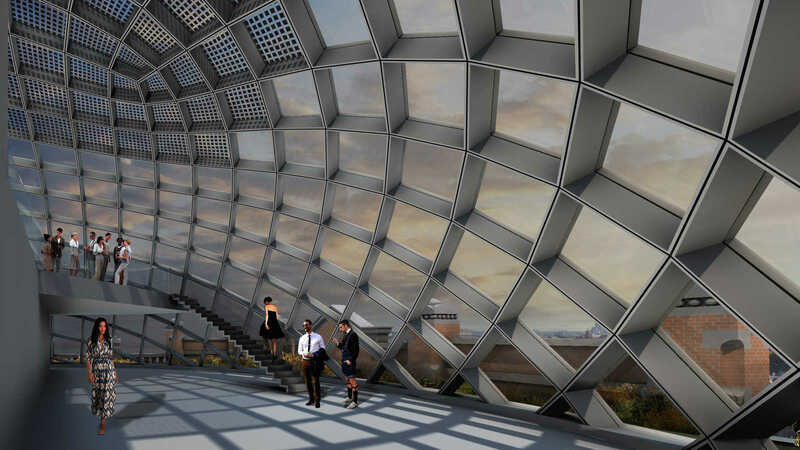 By raising the floor on the sixth level the dome can appear even more free and slender. 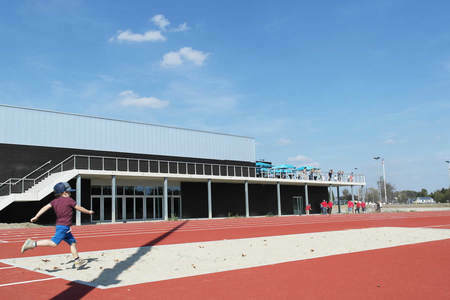 The addition stands free from the bell tower and is built well inside the original facade. 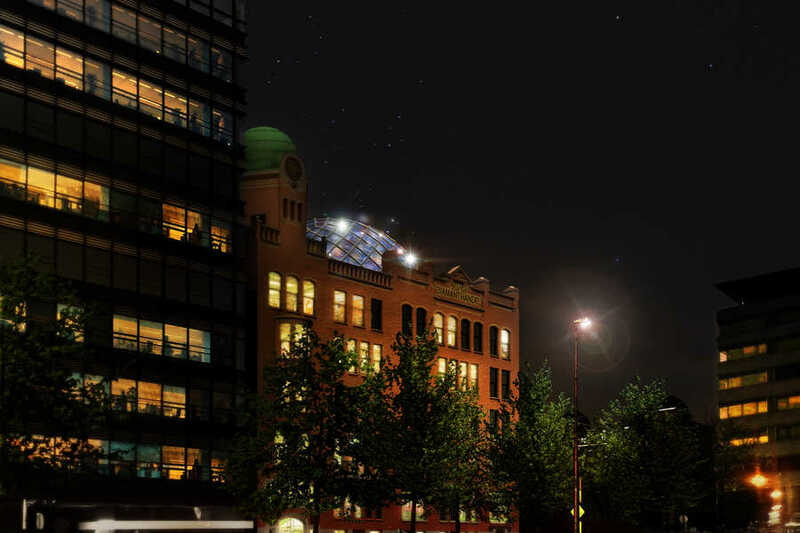 Seen from the street the relationship between old and new are evident: the Diamond Exchange takes the spotlight and the dome is a supporting addition. The new public space makes a transparent and inviting gesture, reflecting light and sky in all directions. 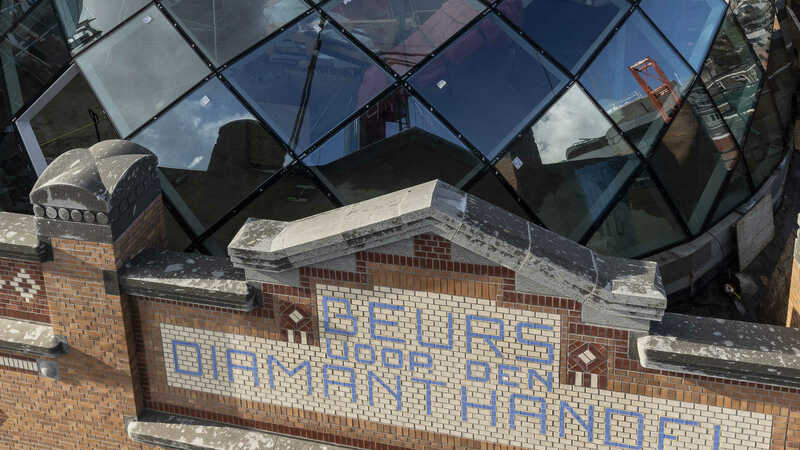 With this renovation the Diamond Exchange is to be restored to the original design by Van Arkel. That is paramount. 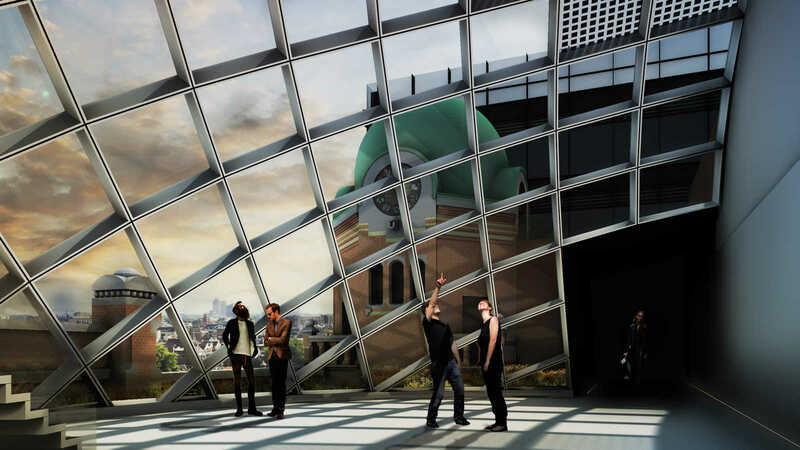 The new dome echoes the dome of the bell tower, but with its multifaceted glitter also refers to the past of the building. The bell tower remains the landmark. 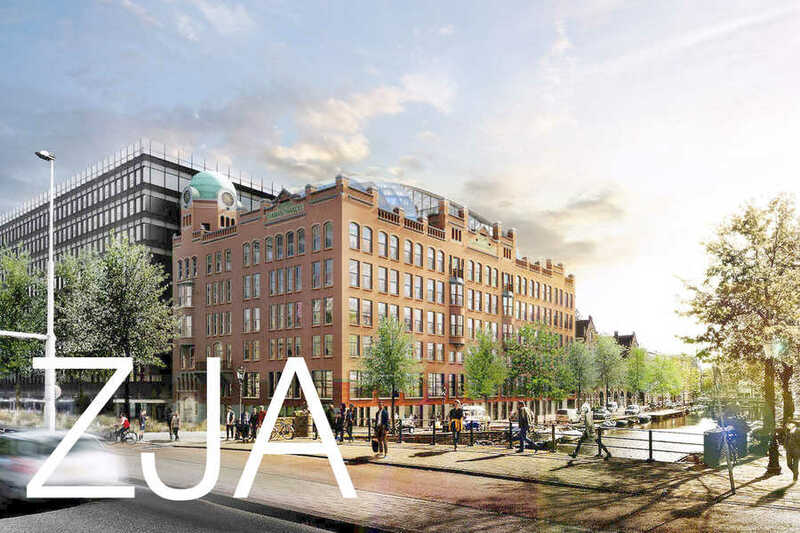 At its foot, along the Weesperstraat, an inviting entrance is planned, surrounded by green zones. Historically an exchange is the meeting place of markets and people, goods and ideas, and that is how the renewed Diamond Exchange meets the city. 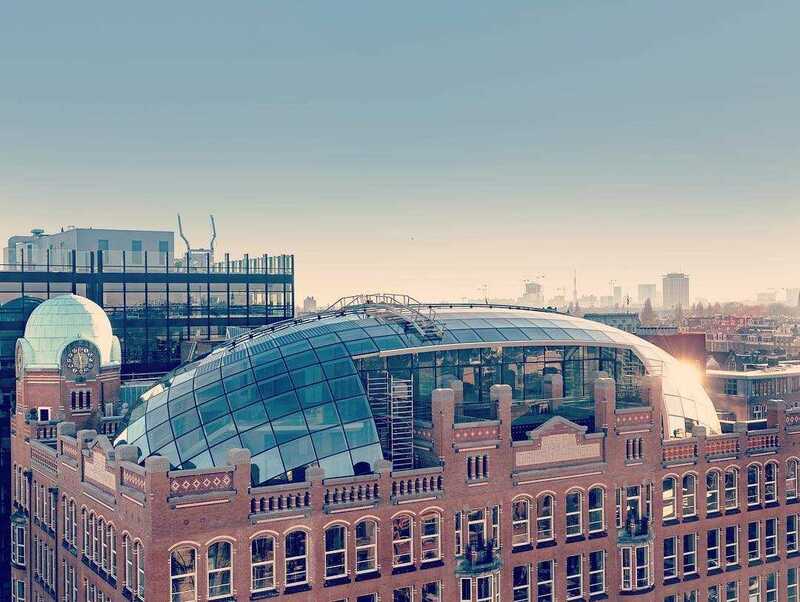 Capital C offers a contemporary office environment inside a unique monument, and on top of that one of the most spectacular views over the city as seen from the roof with the stylish and iconic dome. 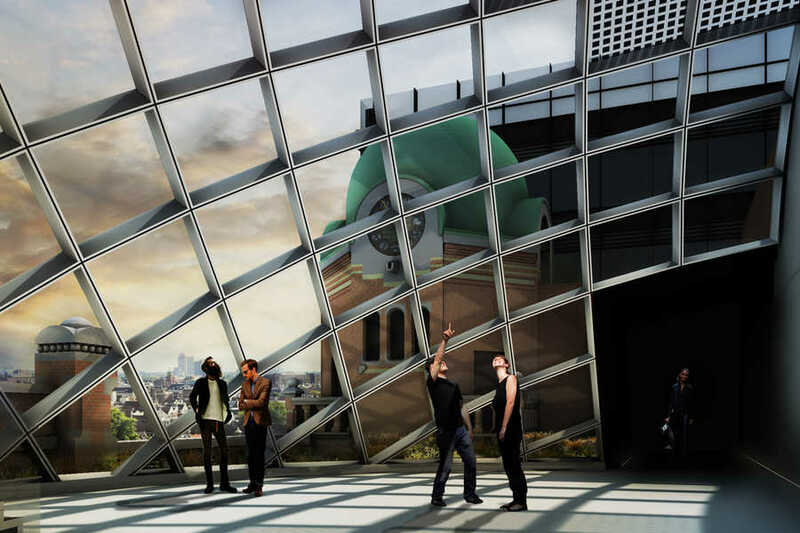 The Diamond Exchange can again truly be a part of the city, as a center for the creative industry, as a public space with a restaurant and a space for art. And as a sparkling monument that is the image of the past and present of Amsterdam. 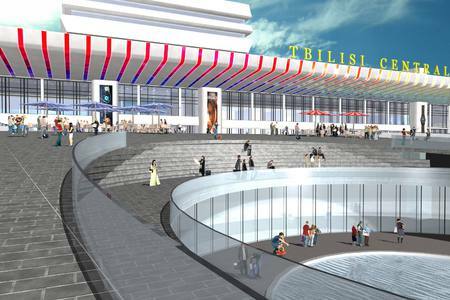 In 2019 Capital C will open as the new center for the creative industry.